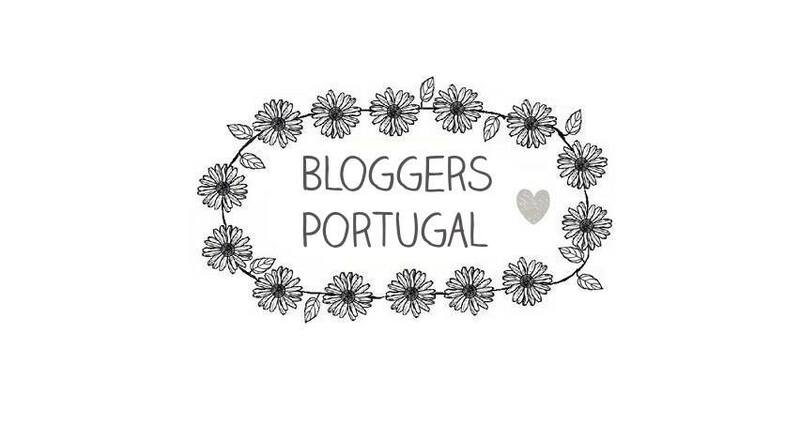 I want to try something different this year meaning that I want to write about other things that beauty and fashion and talk about other things like books. So I decided that at the end of every month I'm going to write about the book that I read during that month and write about my thoughts and whether I recommend it or not. 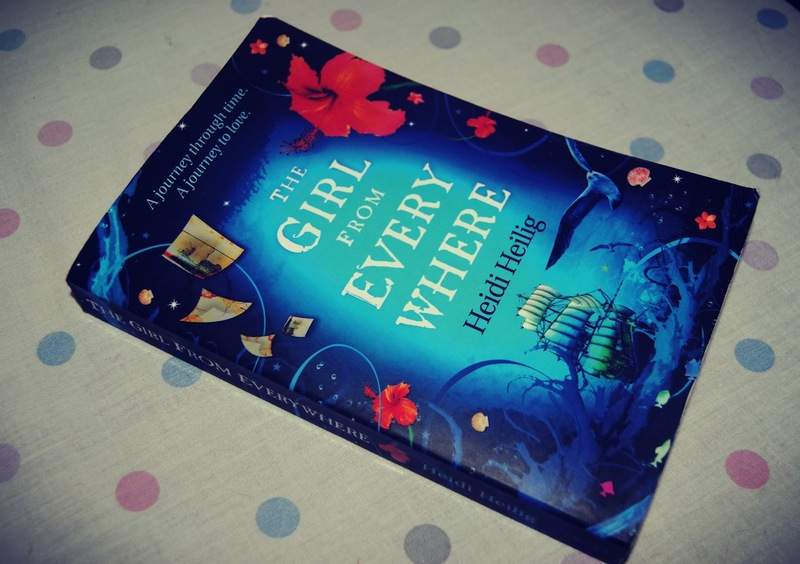 This month book is called " The Girl from Everywhere" from Heidi Heilig. 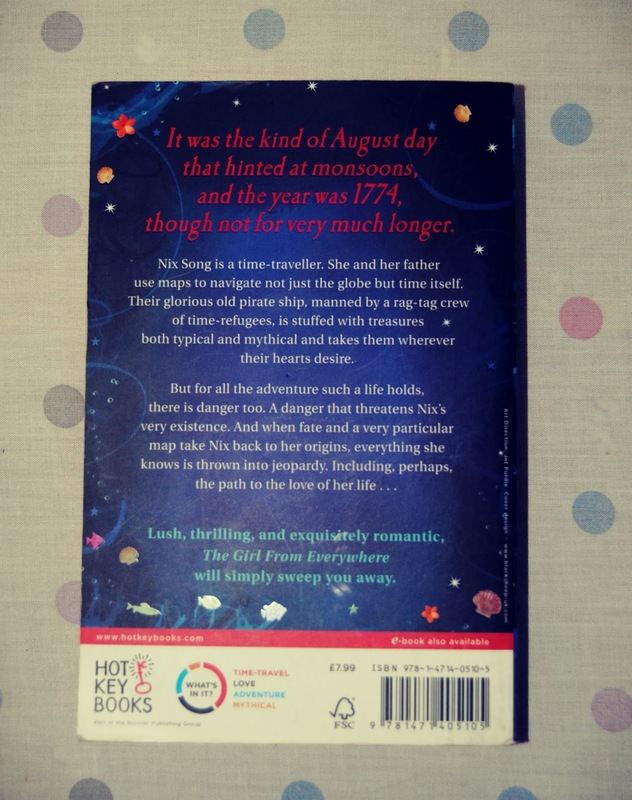 I think that this book can be described as romantic adventure because it involves romance and because the main factor is time travelling the adventure card can be given to the book. I don't want to spoil anything but basically the book is about a girl named Nix Song, a sixteen years old and she's a time traveller. She lives aboard the ship the Temptation with her father Slate, who is the captain, and an assorted crew of people they've picked up on their travels. Nix's original time is the 19th century Hawaii but her father is from 20th century New York. On his travels he fell in love with a woman in Hawaii in the 19th century. She died while giving birth to Nix and Slate wasn't there when it happened and that's the time this story focuses on because Slate is desperate to return to when Nix's mother was still alive. I really liked reading this book even though that in the beginning I found it hard to keep focused to the story. I don't know why but the story wasn't captivating me to keep on reading and I even thought on giving up but I decided to keep going and I don't regret it at all! The book is also filled maps! The book has a lot of drawings of different locations depicted in different eras. I recommend everyone that loves to read onto reading this book because even though the beginning of the story is a little slow if you keep reading the story starts to become really good! Do you have any good book recommendations?